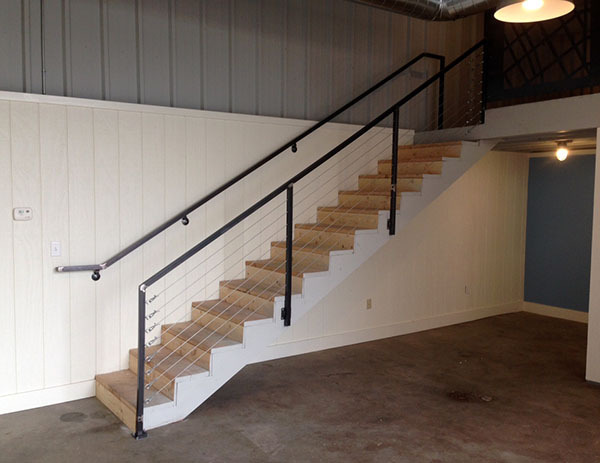 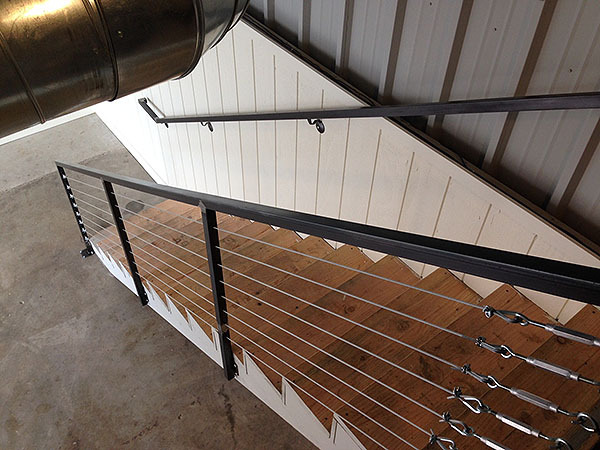 A simple cable railing and matching handrail make going up and down safe and easy. 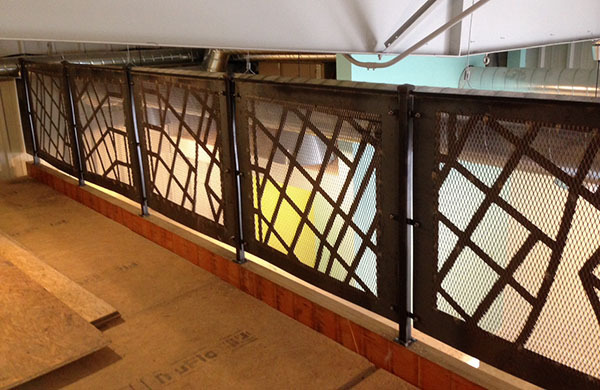 Each panel had a different view of the downtown street grid. 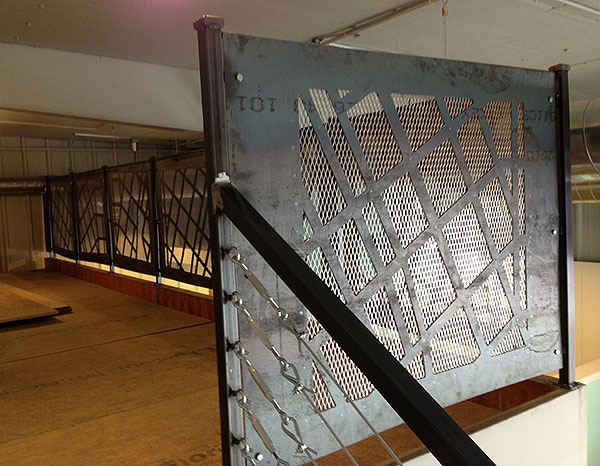 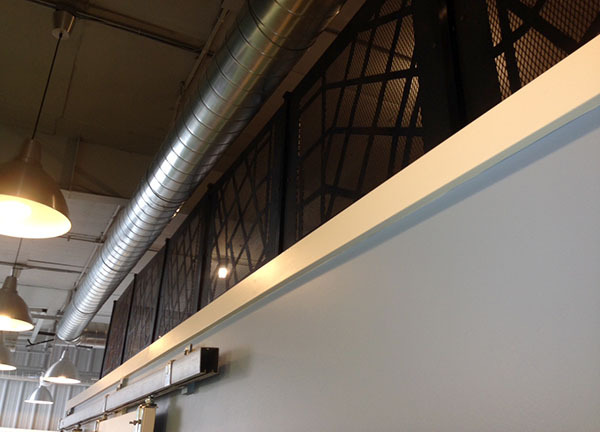 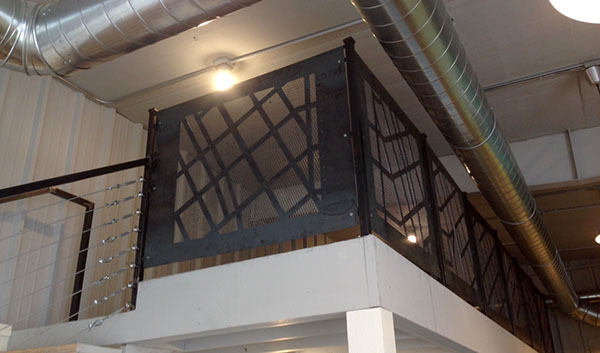 We used expanded metal sheeting to cover the large openings in the railing panels. 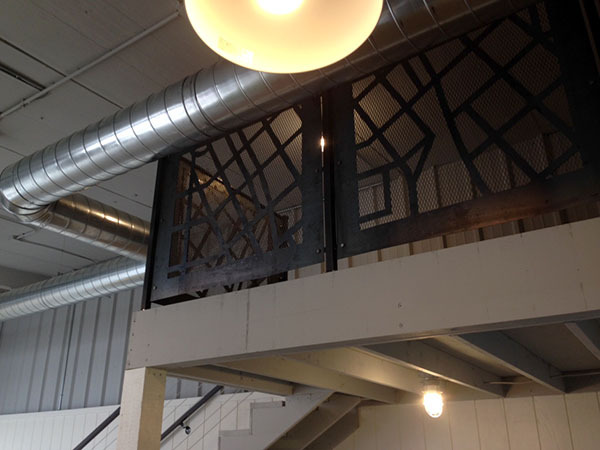 It adds a nice industrial touch. 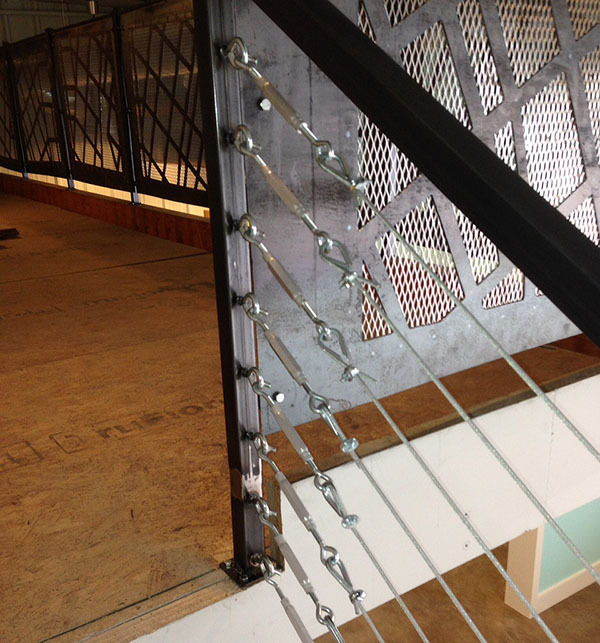 Simple and budget-friendly eye hooks, turnbuckles and cable made for a good solution on the stair railing.